In recent years, States have found themselves under increasing pressure to better protect children from the harmful impact that unhealthy food marketing has on them and on their rights. 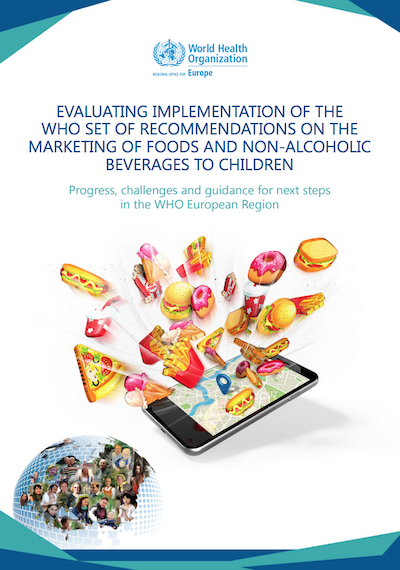 However, our recent report, Evaluating implementation of the WHO set of recommendations on the marketing of foods and non-alcoholic beverages to children, prepared and published with the WHO Regional Office for Europe, demonstrates that there has unfortunately been little progress on this across Europe. Policies exist in just over half of states, and where they do, they are too limited in scope or too poorly defined to be effective. 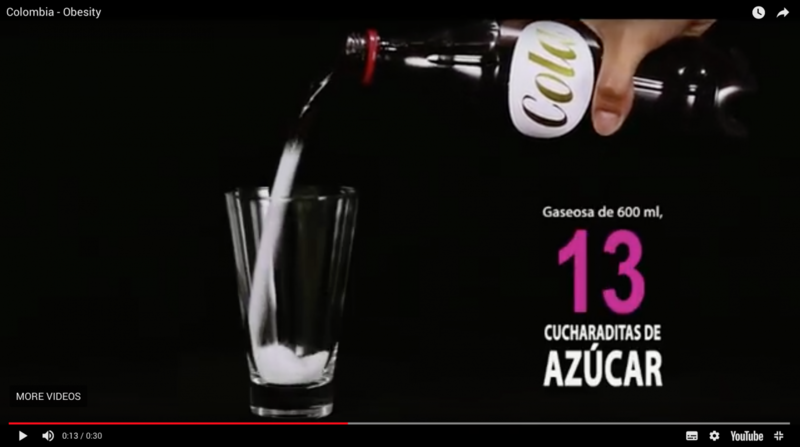 Therefore, despite growing evidence linking exposure to food marketing with poor diets and obesity, children across Europe continue to be exposed to significant amounts of unhealthy food marketing via television, digital media and many other avenues (e.g. sponsorship), with demonstrated effects on their food preferences and eating. Importantly, and as our report also emphasised, a child rights approach reinforces the imperative for States to protect all children, including adolescents, from harmful marketing. At the third UN General Assembly High-level Meeting on NCDs on 27 September 2018, Heads of State and government agreed “to take responsibility themselves for their countries’ effort to prevent and treat NCDs and that these efforts should include robust laws and fiscal measures to protect people from the main NCD risk factors, including unhealthy diets”. The UN meeting concluded with a Political Declaration that reaffirmed the right of every human being to the enjoyment of the highest attainable standard of health. A rights-based approach to childhood obesity and NCD prevention is useful because it holds States accountable and ensures that they comply with their legally binding obligations under the UN Convention on the Rights of the Child (CRC) and other international human rights treaties, not least to protect the right of all human beings to the enjoyment of the highest attainable standard of health through, among other things, the provision of adequate nutritious foods. The recent Unicef report A Child-Rights Based Approach to Food Marketing argued that the 2010 set of WHO recommendations on the marketing of foods and non-alcoholic beverages to children is critical to this approach: more comprehensive implementation of the WHO Recommendations will mean that States are more in line with their obligations under the CRC. Existing regulations often only seek to protect children under 12 years, but the CRC defines a child as “every human being below the age of eighteen years”. While the CRC recognises that children’s capacities develop over time (e.g. they can develop a critical understanding of food marketing), importantly it does not exempt States from their obligations to protect older children (over 12 years) from harm. This includes harm resulting from exposure to unhealthy food marketing. This is crucial because child development is not a simple linear process of gains: with evolving capacities, such as greater independence and new identity formation, come new vulnerabilities, such as increased use of media and therefore increased exposure to marketing, greater peer and social identity effects, and more opportunities to buy unhealthy items. A further consideration is that the 2010 WHO Recommendations specify that regulation should be applied independently of vested interests. Yet the recent UN Political Declaration urges the WHO to “continue working closely with key partners, including government, civil society and the private sector”. 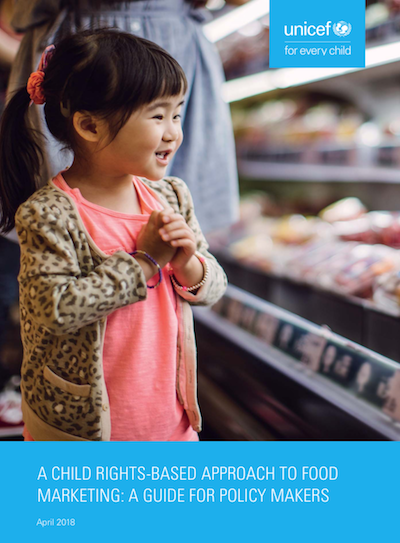 A child rights approach mandates States to uphold human rights, including through the regulation of food marketing. It is all the more urgent that they do so in light of the growing body of research establishing that children’s exposure to unhealthy food marketing has continued apace despite an increasing plethora of industry “pledges” at global, regional, national or company levels to “market responsibly to children”. The lack of effectiveness of these pledges should come as no surprise: they are voluntary and therefore not applied by all food manufacturers, and they tend to be narrow in scope, protecting only children of less than 12 years of age and allowing food marketing to migrate from regulated to unregulated programmes, media, techniques and settings. Owing to the inherent problems associated with self-regulation and public– private partnerships, there is a need for States to adopt laws that prevent companies from using insidious marketing strategies. 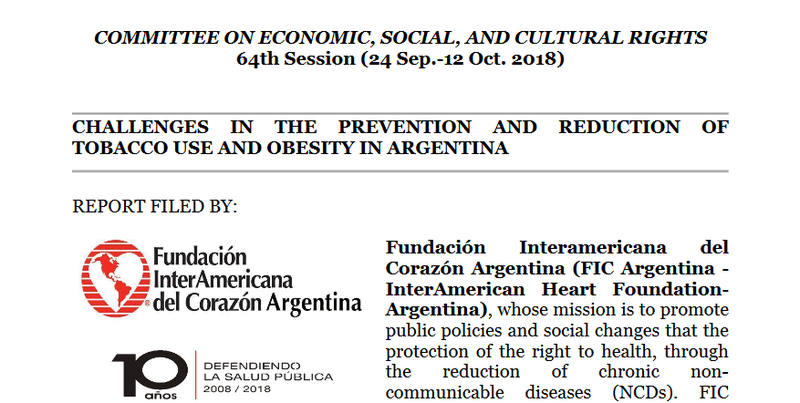 The responsibility to protect the enjoyment of the right to health warrants State intervention in situations when third parties, such as food companies, use their position to influence dietary habits by directly or indirectly encouraging unhealthy diets, which negatively affect people’s health. Therefore, States have a positive duty to regulate unhealthy food advertising and the promotion strategies of food companies. Under the right to health, States are especially required to protect vulnerable groups such as children from violations of their right to health. This statement still resonates. Even though the WHO’s third NCDs Country Profiles report found that the risk of premature death from one of the four main NCDs had seen a relative reduction of 5% from 2010, the rate of progress is unlikely to meet the Sustainable Development Goal target of a one-third reduction by 2030. As the recent UN Political Declaration has pointed out, “the world has yet to fulfil its promise of implementing, at all levels, measures to reduce the risk of premature death and disability from NCDs”. Commercial practices that negatively impact on children’s health and children’s rights should be regulated and, in doing so, States must uphold the best interests of the child as a primary consideration. The Convention on the Rights of the Child demands no less. Amandine Garde (@AmandineGarde) is Professor of Law and Founding Director of the Law & NCD Unit at the University of Liverpool (@LivUni_LawNCD). Her research focuses on the relationship between law and NCD prevention. She has a specific interest in the regulation of food marketing and the role that the European Union could play in promoting healthier food environments. She has worked with the WHO and other UN agencies for the last ten years. Mimi Tatlow-Golden (@MimiTGolden) lectures in Developmental Psychology and Childhood Studies at The Open University UK. One of her areas of interest is children, food and food marketing. She has researched preschool and teens’ responses to food brands and digital media and examined attitudes of parents and teachers. Since 2016 she has provided consultancy to WHO on the topic of children and food marketing in digital media. Emma Boyland (@emmaboyland) is a Senior Lecturer in Appetite and Obesity at the University of Liverpool (@livunipsyc). Her research focuses on exploring the extent, nature and impact of food marketing on the determinants of eating (e.g. preference) and actual eating behaviour (intake) in children, and she has worked with WHO on a number of high profile reports and projects in this area over the last 10 years. 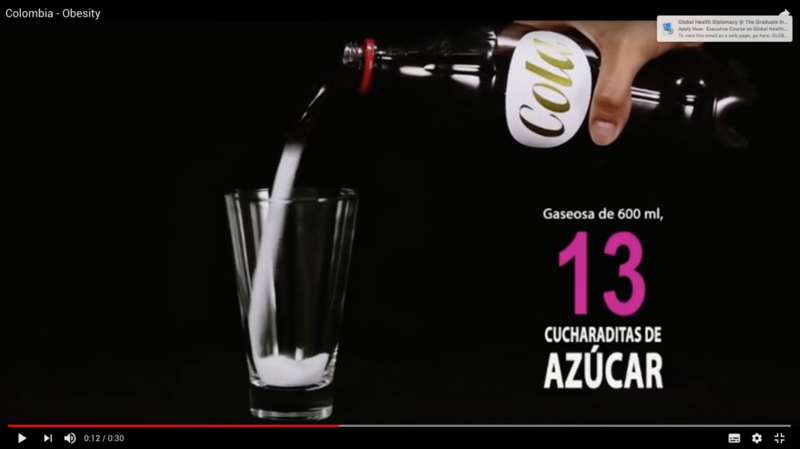 Evaluating implementation of the WHO set of recommendations on the marketing of foods and non-alcoholic beverages to children. This Global Forum on Human Rights and a Tobacco-Free World, to be held in Romania on 26th March, is a unique and historic event will bring together global leaders in human rights and public health to discuss ways to advance worldwide efforts to combat the tobacco epidemic. Participation by request and approval only.